3. Connection: support wifi/bluetooth and one click update. What is advantange of 2018 Version Launch X431 V+ Pro 3? 1. Support wifi/bluetooth and one click update, make your update job much easier. 3. 2GB memory and 16GB storage for data. 5. HUAWEI HiSilicon Quod-core 1.2G HZ, speed faster. 9. Completely substitutes X431 IV and X431 Diagun III, adopt more Launch fault diagnostic technology. such as vast car model coverage, powerful test function, special function and accurate tast data, etc. X431 V+ taking the advantage of mobile internet, can share maintenance data and case library, provide instant maintenance information, and build public and private maintenance social circle,etc.,thus lead to wide car diagnostic community. 1) Go to official launch website http://www.dbscar.com/, to register the CC account first. 2) Use your registered CC account to log in official website, and go on to register your machine. Our dealer code is 86A or 86K. 3) Download the latest software and install it to your Machine. 2. I'm a master tech with 38 years on the job, i have a snap on modis but needed a second scan tool. 4. Great product. Worked in every car i tested so far and will difinitely give more information in newer model vehicles. Not every car it scans the VIN but the option is there to manually enter VIN or select the vehicle from list. It's great to quickly find and solve your vehicle problem and even show you issues that your vehicles might be haveing without even show up warninglight on your dash.I have updates for the next 2 years for all models and if you ever need to factory reset the tablet or you could replace with any android tablet, it is easy to login on the website and sign in your account and password which will be created during setup and re download everything. Q:What's X431 V+ Dealer Code? Q: What's language can this machine support? A: It can support for 86 brands, more than 220 car models, such as Asian,European and American ect. A: One-key update on the X431 V+ APP, dbscar.com. Q: Will it need languages and areas authorization? A: No, it doesn't need. This new X431 V+ supports more than 200 countries, 24 languages, it works nomater whitch county you are in. Such a powerful devce, just get one right now! Q:Why I cannot change language?all is chinese ? A:we have activate for you in last week,sir,you can choose language in the choose blank,it has english for you to choose,Please check again. Q:I have activated my tool in your website,but when I login in app,it tells I don't registered,but I have registered in dbscar.com,why? A:Dear sir, 1)please registered in dbscar.com with your local computer,our dealer code is 86A or 86K.when you login in dbscar.com,check profucts information,do you see your serial number is written well in blank? if no,it means you don't registered well,pls registered it again,besides CC acount,you also need registered. 2)after you registered well in your computer,then directly login in pad,pls don't registered in pad again,no need do that. Q:I have problem,why my car list is blank and no connection also?nothing in there? 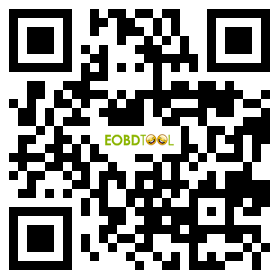 we will help you reflash the tool. Q:How to reflash or download new APP in my pad? 2 then open your install menu,find the folder "cnlaunch",delete all. Q:How can I download new car or update car list to my app? A:Please connect bluetooth adapter with car,and open v+ pro setting,in setting,find the bluetooth. then open your app,click one key update. if you cannot download or find where is new client software,you can find me on line,I pass you on line only. Q:I have download all new app,seems all good,but it tell me it has logined in other device?what happen? we will ask X431 engineer to fix it.